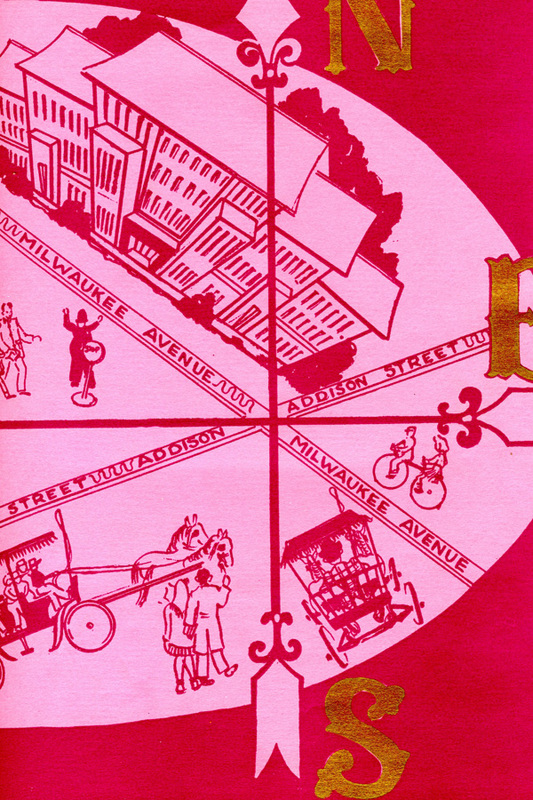 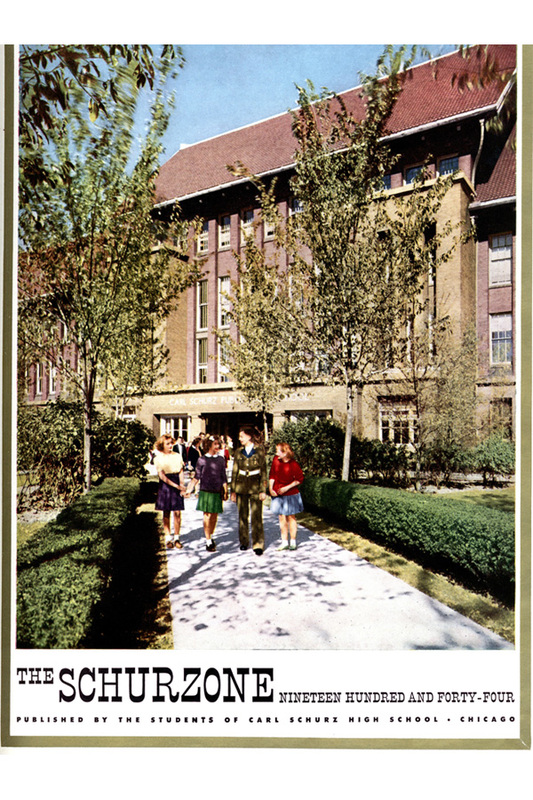 The 1,400 students attending Carl Schurz High School at the corner of N. Milwaukee and Addison in 1944 were likely unaware that their alma mater was to one day become a famous architectural landmark. 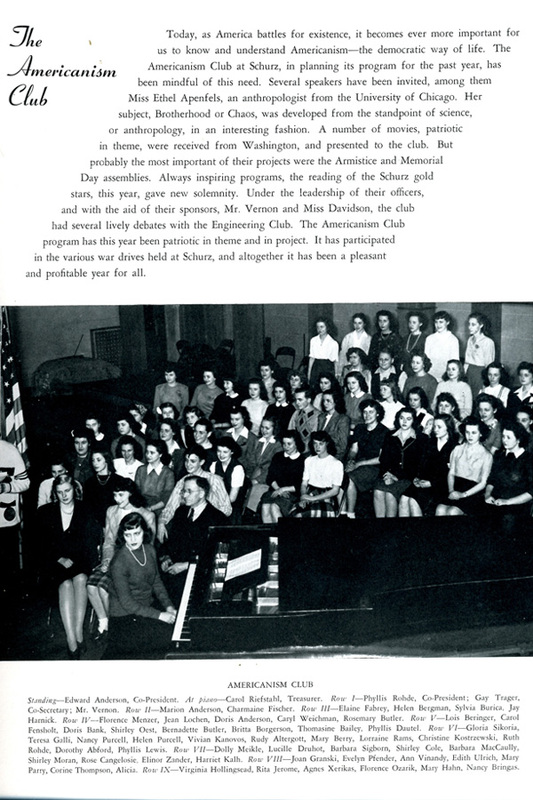 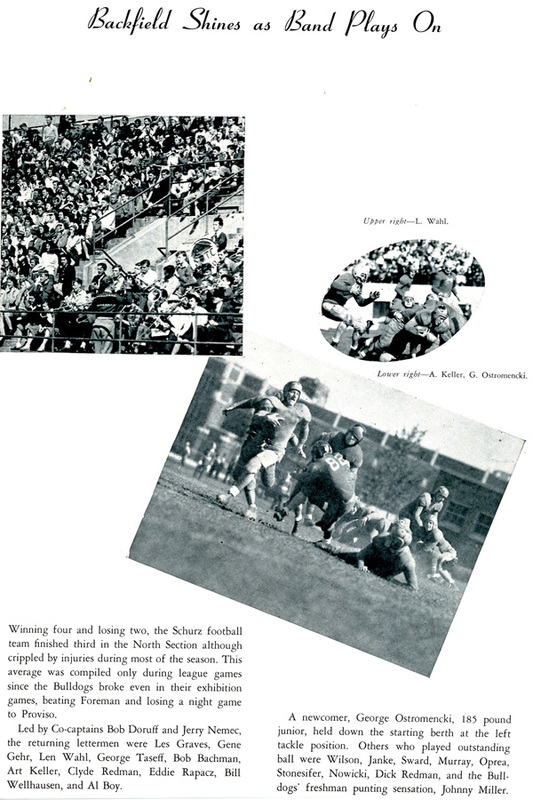 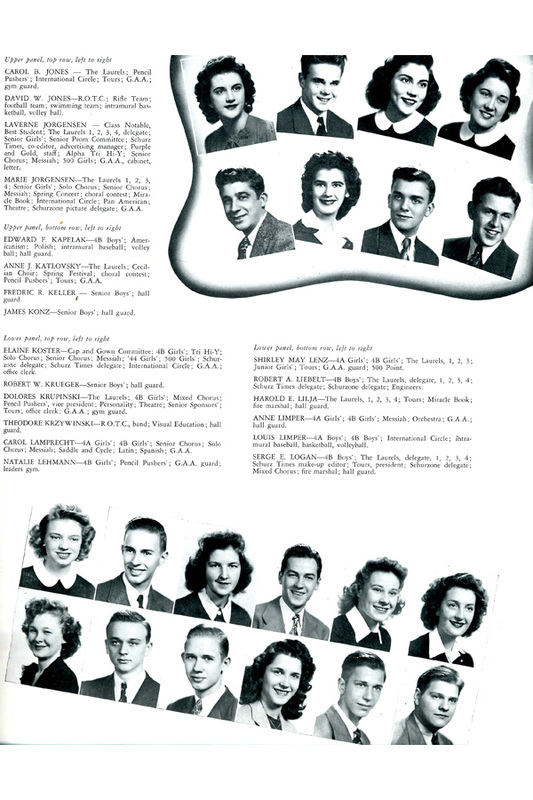 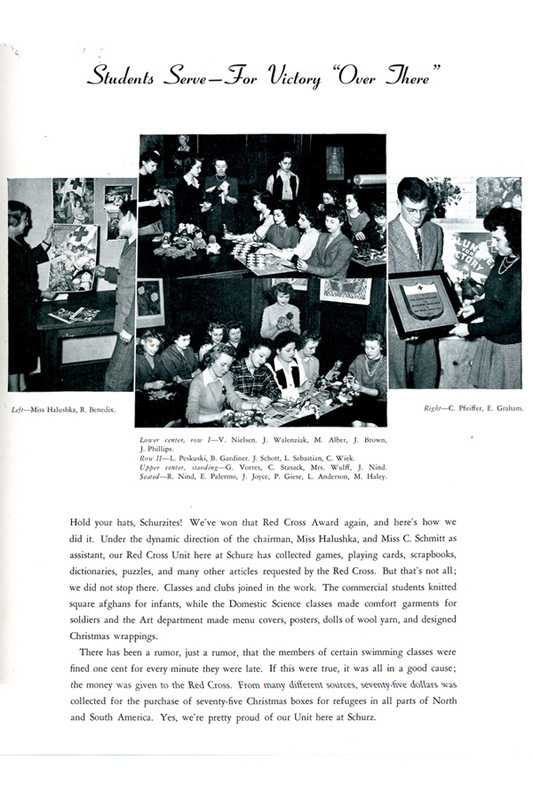 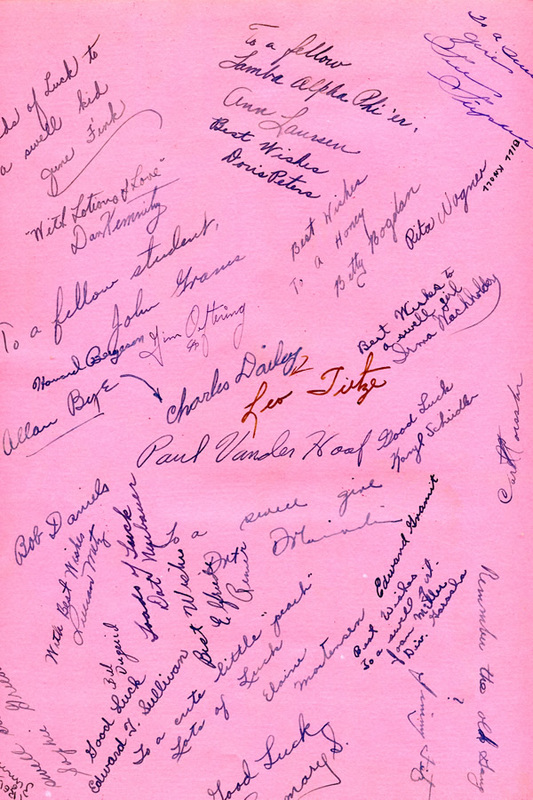 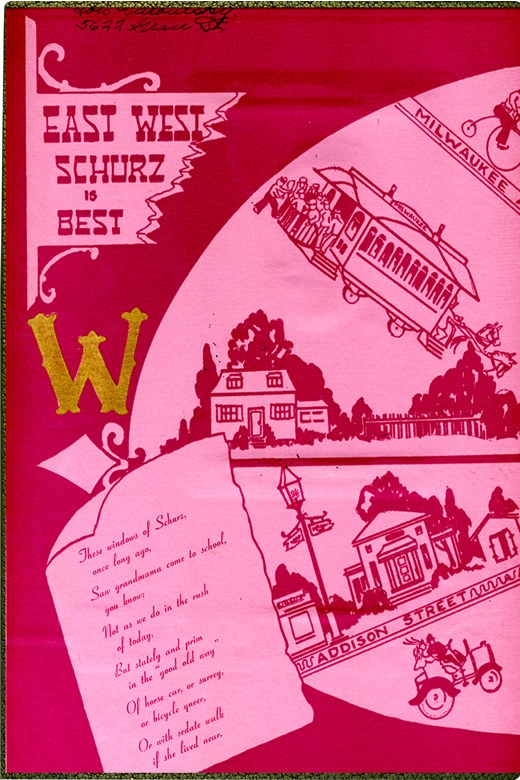 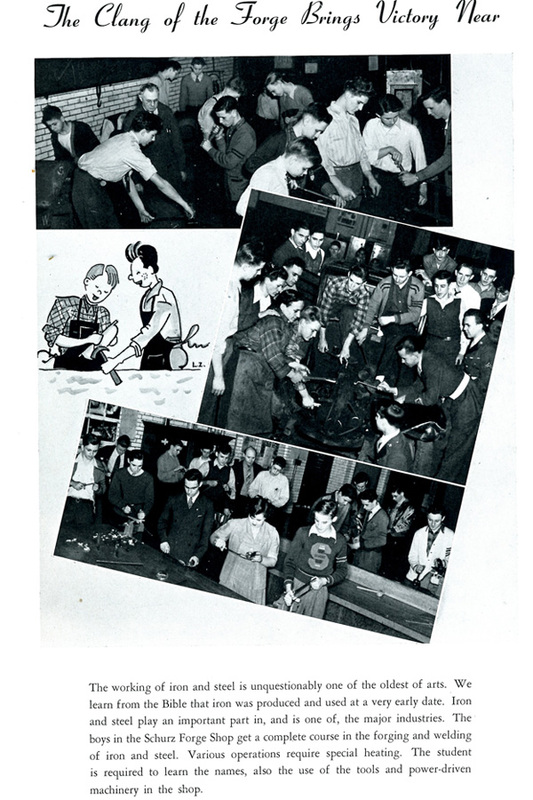 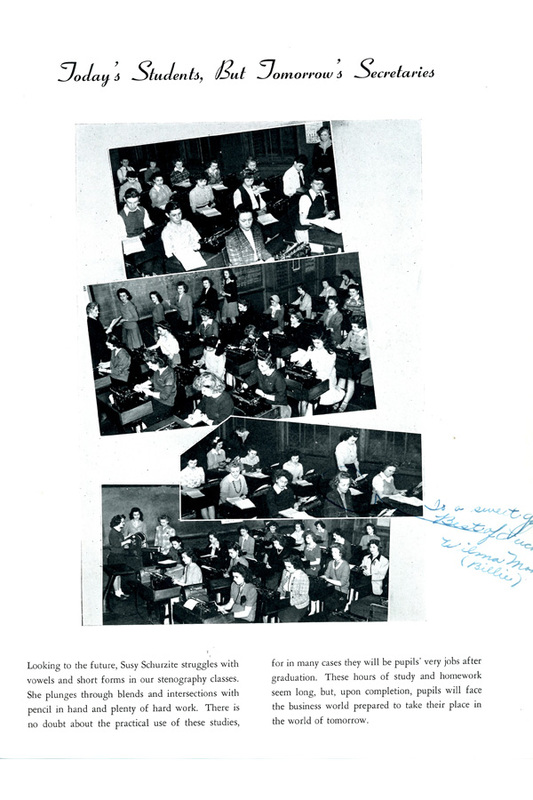 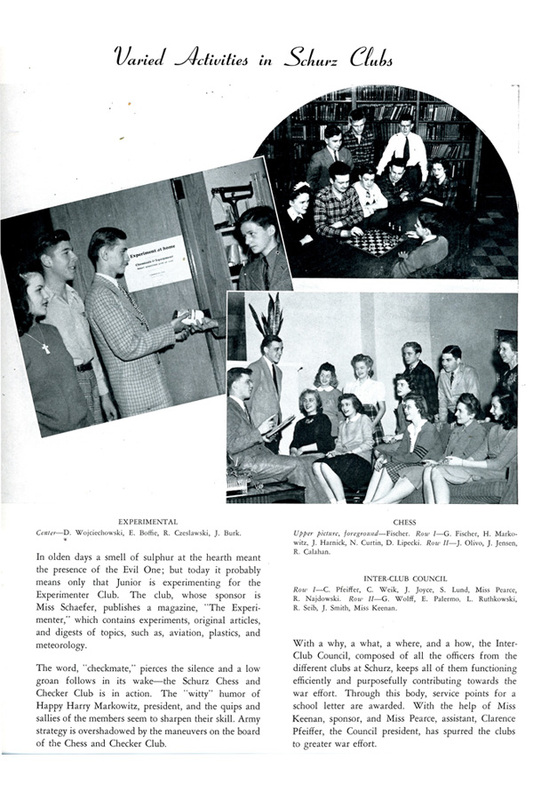 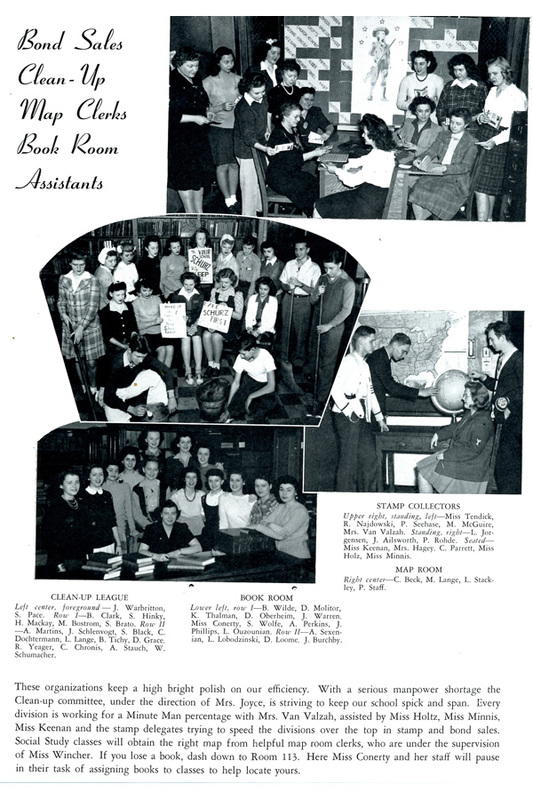 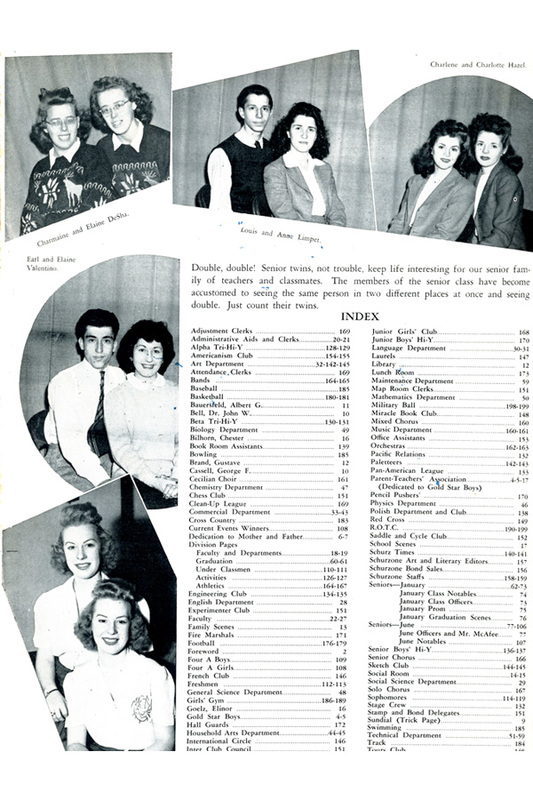 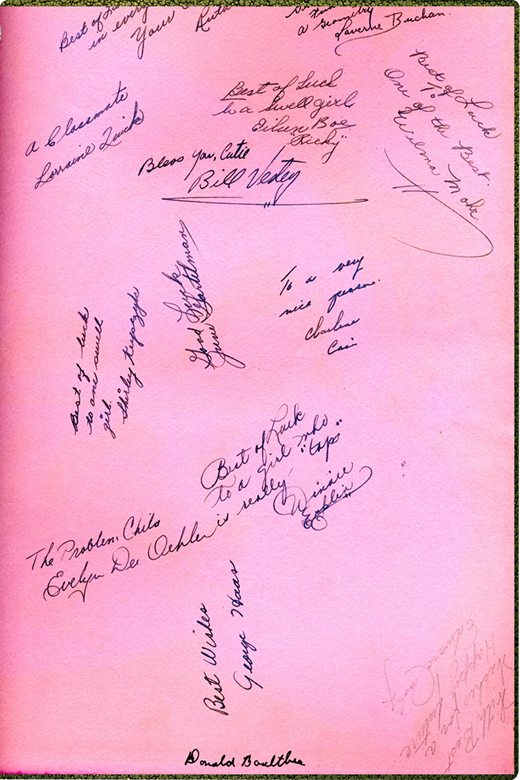 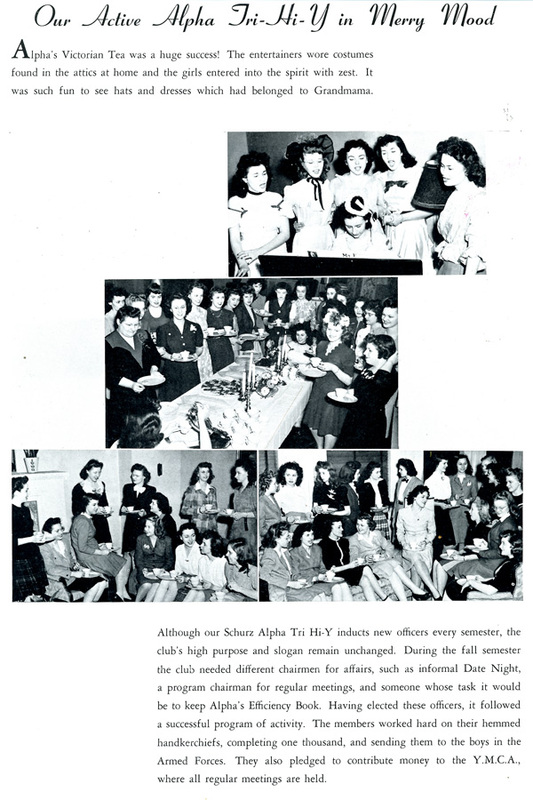 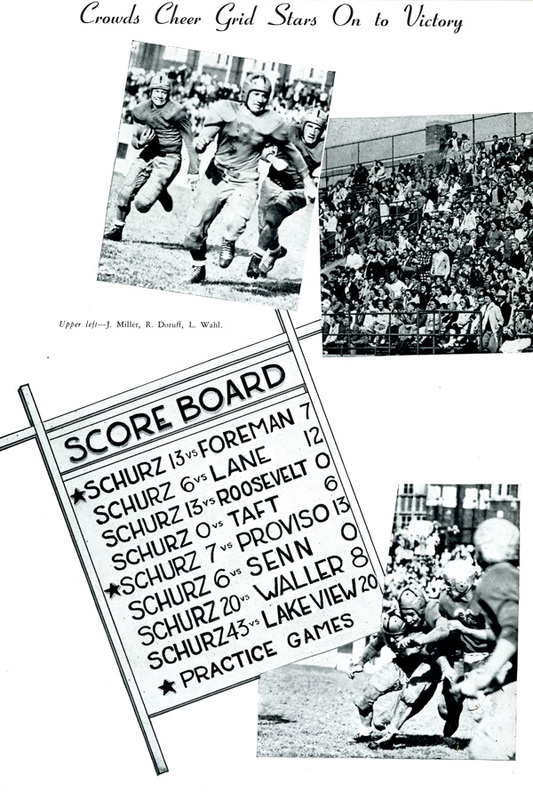 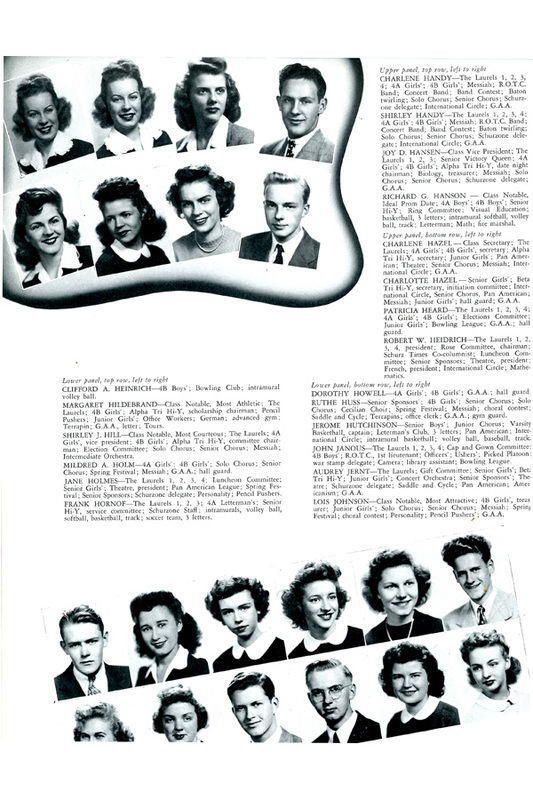 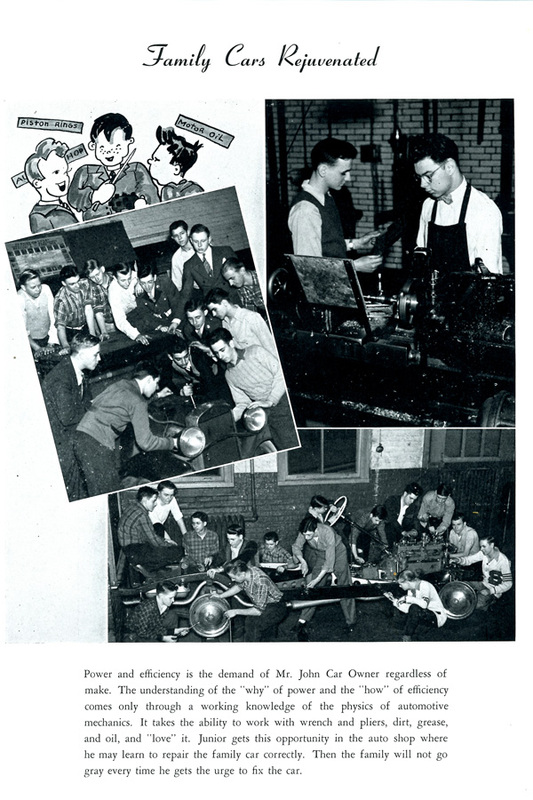 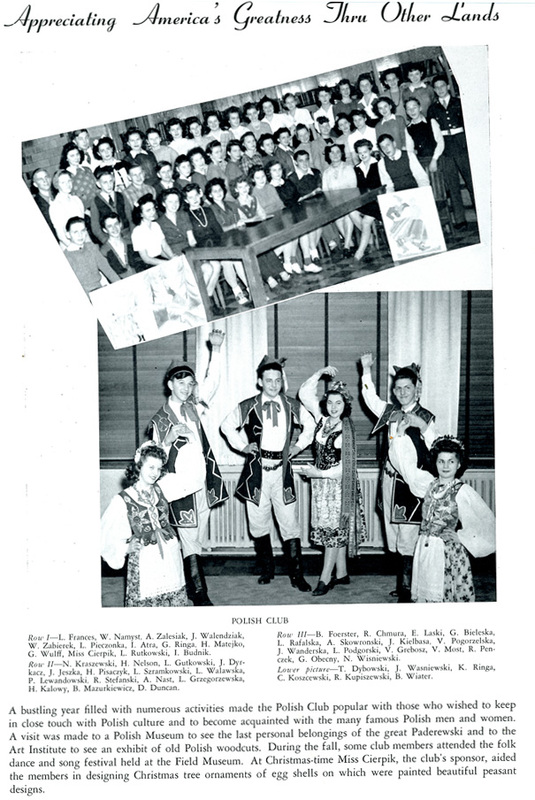 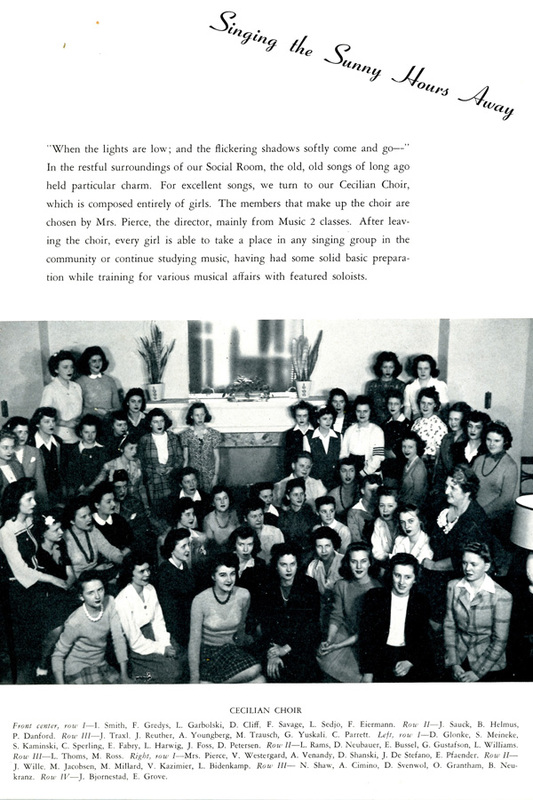 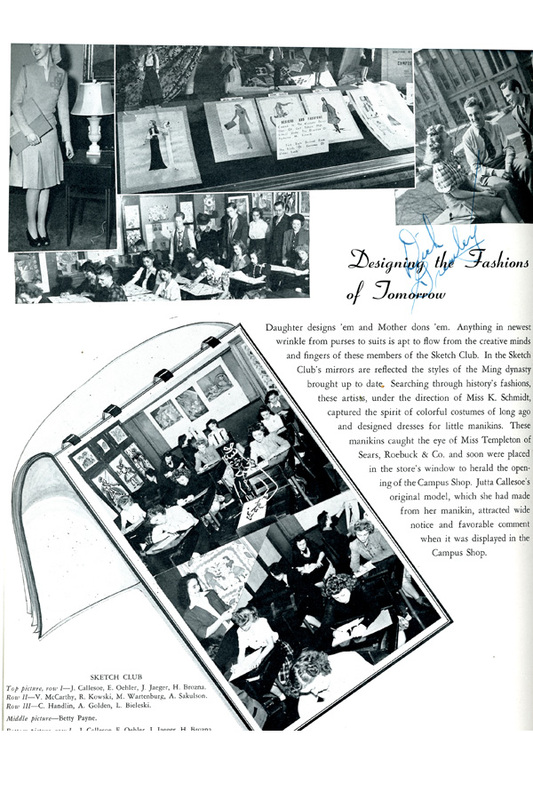 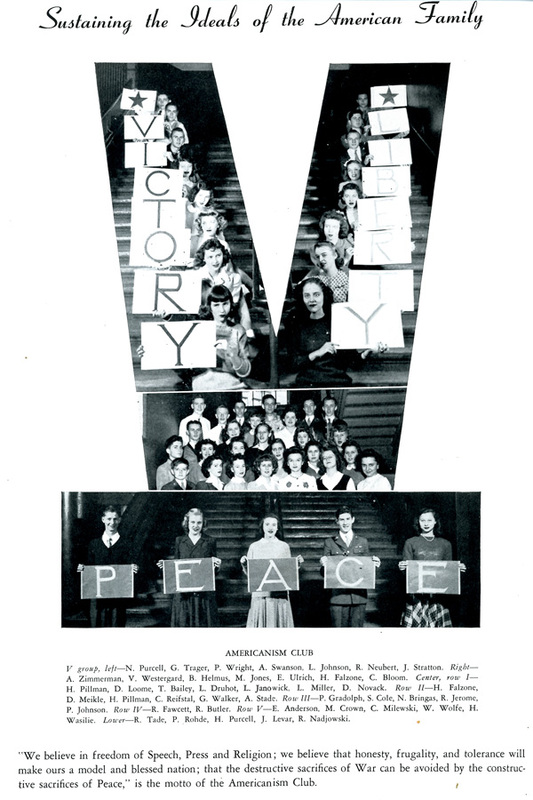 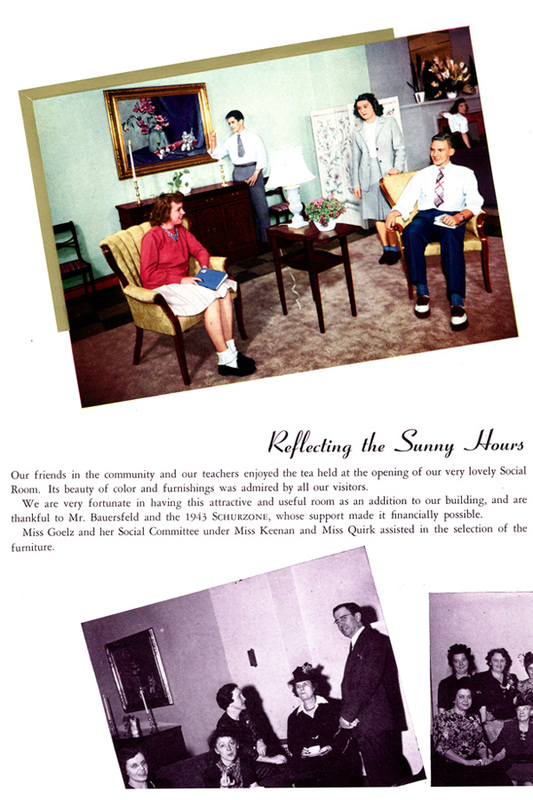 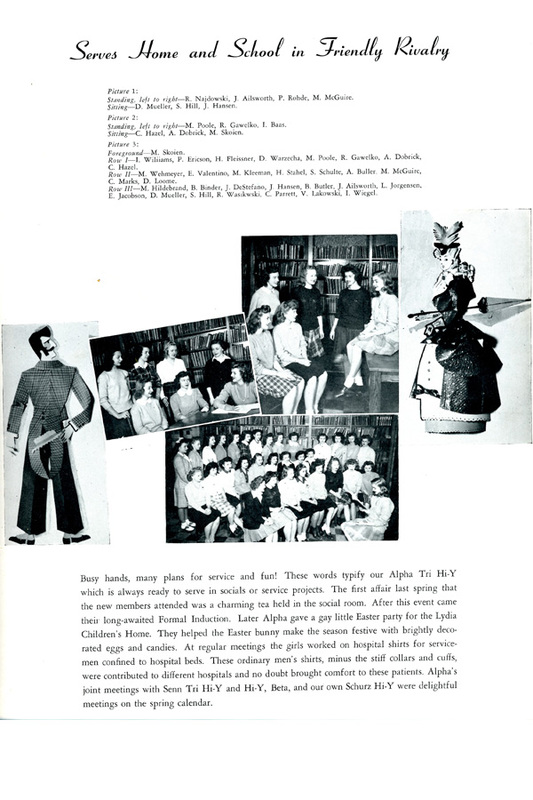 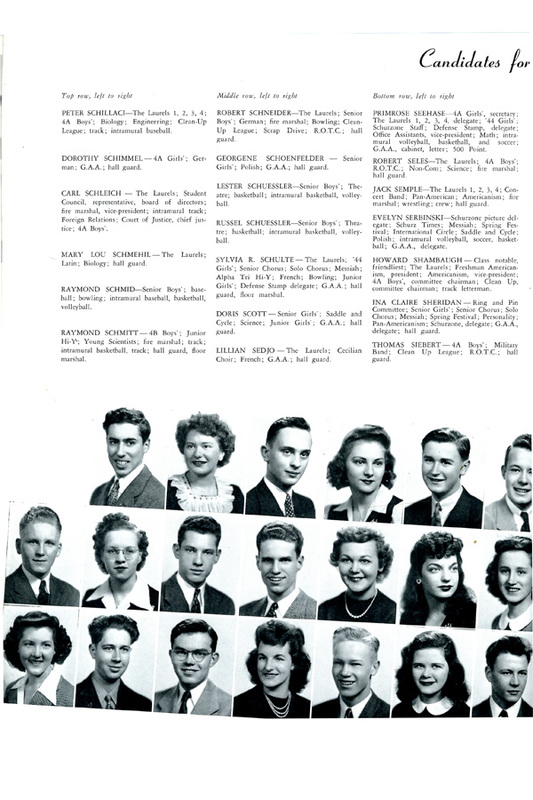 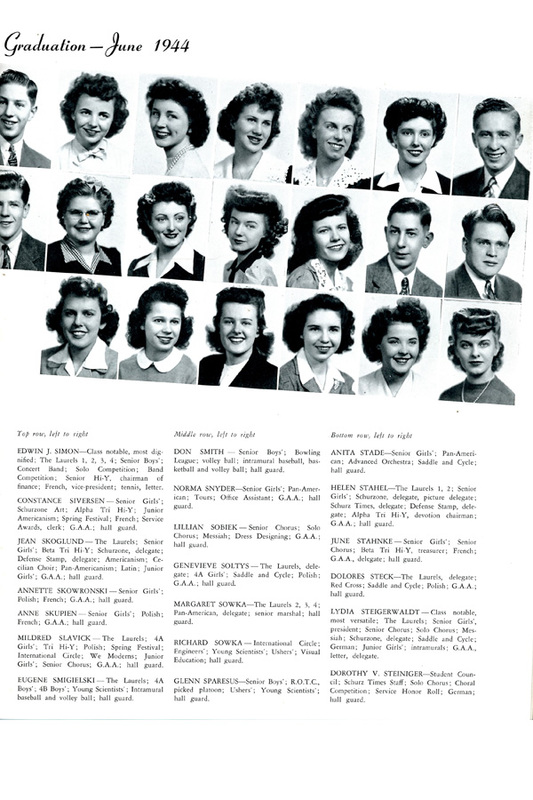 However, ambition and affluence pour out of nearly every page of the 1944 Schurzone yearbook – some images even appearing in color. 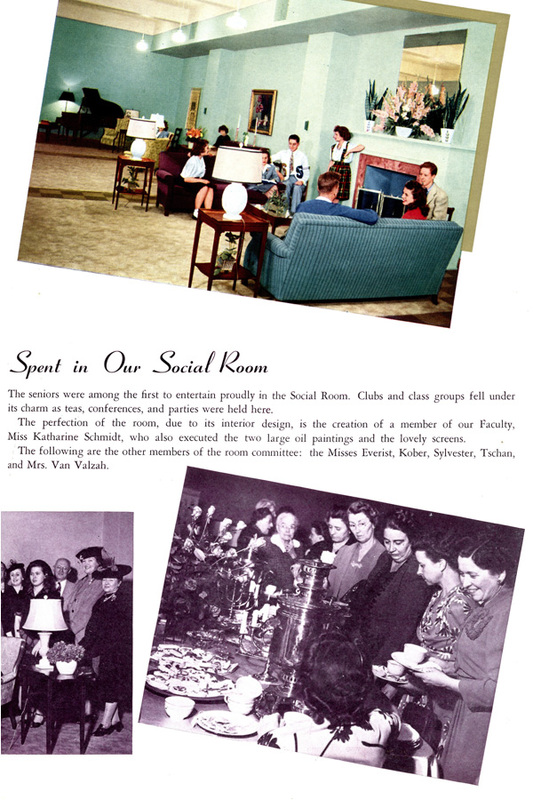 Students at Carl Schurz enjoyed a foundry, a forgeroom and even a senior social room as parts to their campus. 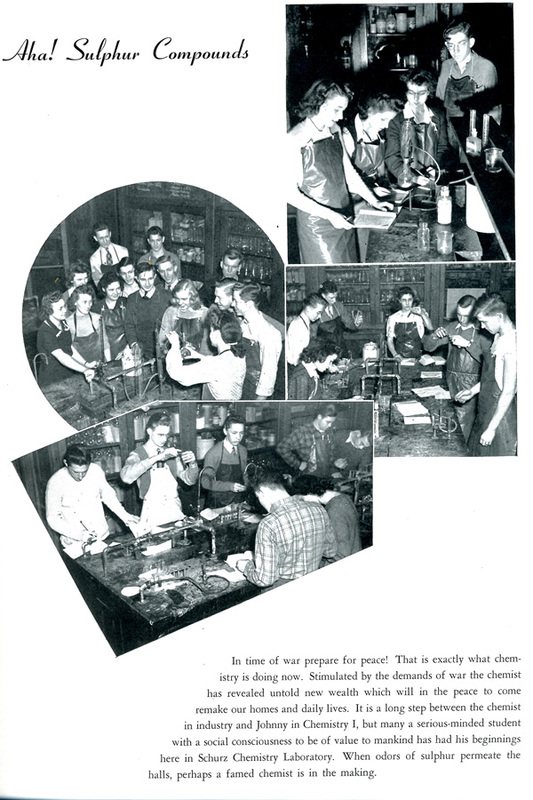 However, despite these many advantages, students still felt the effects of WWII and did their parts to contribute to the war effort. 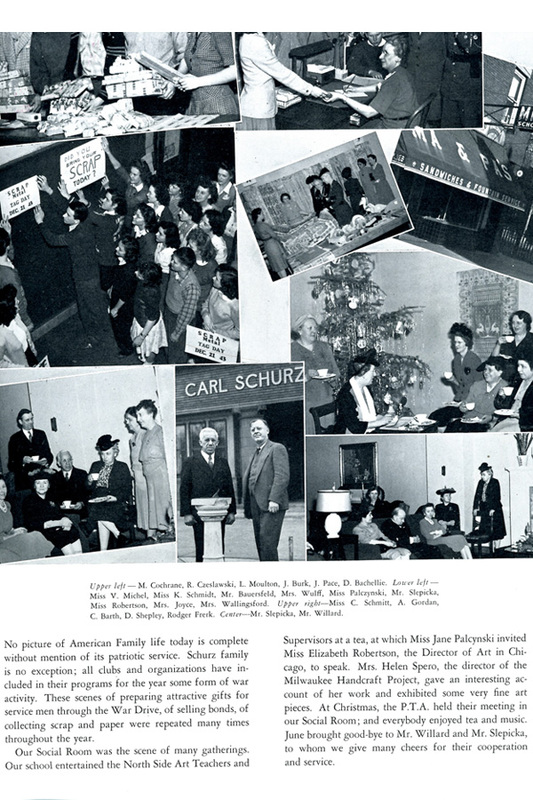 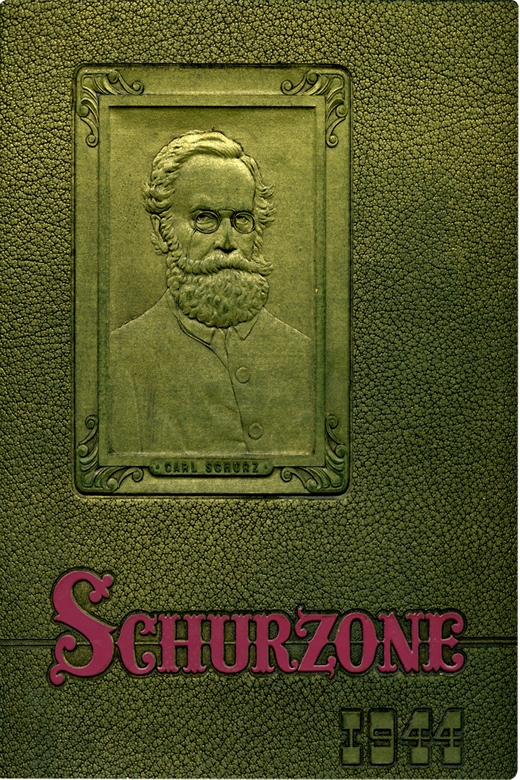 What kinds of Home Front efforts were made by the students of Carl Schurz?